42 museums in the Netherlands in possession of 170 pieces of art likely stolen from Jews during the Holocaust. 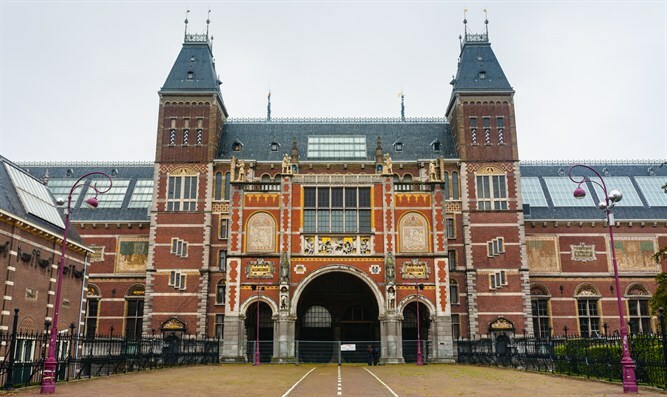 Dutch museums are in possession of at least 170 artworks that may have been stolen from Jewish owners during the Holocaust, a commission of inquiry concluded following years of research. The artworks of murky provenance are worth many millions of dollars and include Jan Adam Kruseman’s “Salome with the Head of the Baptist,” which is at the royal Rijksmuseum of art in Amsterdam; Hans Memling’s “The Movement” from the Boijmans Van Beuningen museum in Rotterdam as wells as an aquarelle by Wassily Kandinsky from the Stedelijk Museum of modern art in Amsterdam, the Het Parool daily reported Wednesday. In total, the 170 artworks in question are distributed among no fewer than 42 museum, according to the decade-long research project by the research team “Museal Works from 1933,” which includes provenance and inventory experts. The group is working to locate the owners of the paintings, many of which may have been sold off by Jews under duress following the rise of the Nazis to power in Germany in 1933. Others may have been stolen by the Nazis or their collaborators.